World number one Serena Williams has warned younger rivals she remains as potent as ever before her first competitive match in more than four weeks at the Dubai Championships today. The 32-year-old has been sidelined by a back injury since a shock fourth-round defeat by Ana Ivanovic at January's Australian Open. She withdrew from this month's Qatar Open and has a wildcard to play in Dubai. Williams won the French and U.S. Open singles titles last year, leading her coach Patrick Mouratoglou to say that this year his charge could become the first woman since Steffi Graf in 1988 to win a season grand slam. Her Melbourne defeat, her first in 26 matches, put paid to that, but Williams's enthusiasm for tennis remains undimmed despite nearly 20 years as a professional. "I just have so much fun on court," said Williams, who became the oldest women's number one when she reclaimed top spot last February. "I feel like I want to keep going." China's Li Na, who won the Australian Open, also turns 32 next week. "I think the game maybe is a little tougher now - there are more players with a bigger variety (of shots) - so it's harder for young players to break through," said Williams, who has 17 grand slam singles titles to her name. "I give credit to technology, because shoes, rackets are better. You also know different things to do in the gym so you can have a longer career." Williams hopes to eclipse last year's achievements but ruled out playing as long as Martina Navratilova, who was Wimbledon singles runner-up in 1994 aged 37 and claimed her last Grand slam title in 2006 in the U.S. Open mixed doubles. Williams faces a formidable line-up in Dubai, with 15 of the world's top 20 in the draw and she was coy about the nature of her recent back injury, stating only that it was rib-related. "I'm taking it a day at a time. It's definitely better than it was," said Williams. She will play either Alisa Kleybanova or Ekaterina Makarova, both of Russia, in today's second round before a potential showdown with a resurgent Jelena Jankovic of Serbia in the quarter-finals. 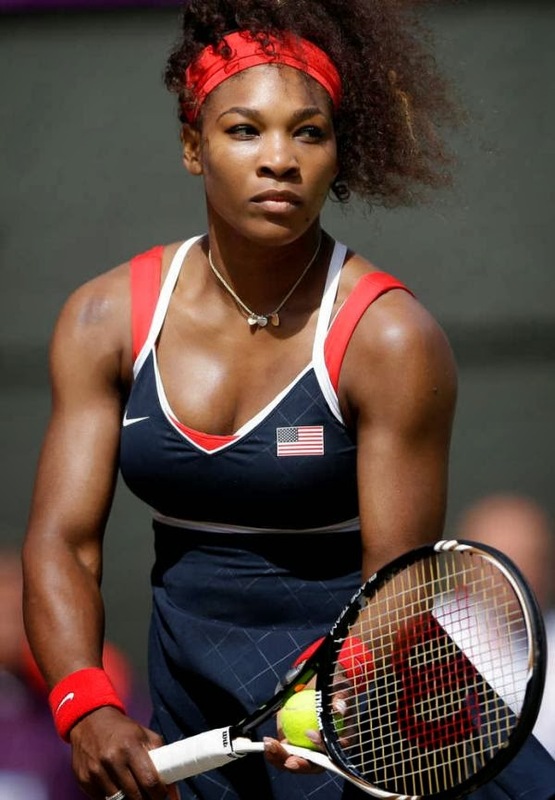 Williams will also make a rare appearance in the doubles, partnering sister Venus, 33, who has struggled to recapture her best form since being diagnosed with an auto-immune disease in 2011. "My injuries are nothing compared to hers - she's living with something every day, whereas I had to get through a moment and I could get better," said Serena, who was out for nearly a year in 2010-11 with a foot injury and blood clot problems. "Just watching her, whether she wins or loses is incredibly inspiring - she's still the big sister," added Serena. "She's practising better, practising more. It's still baby steps, but she's getting there."